Dear Reader, I’m seeing red! Are you? So’s the wheelbarrow in my favorite poem. The stripes on the flag. 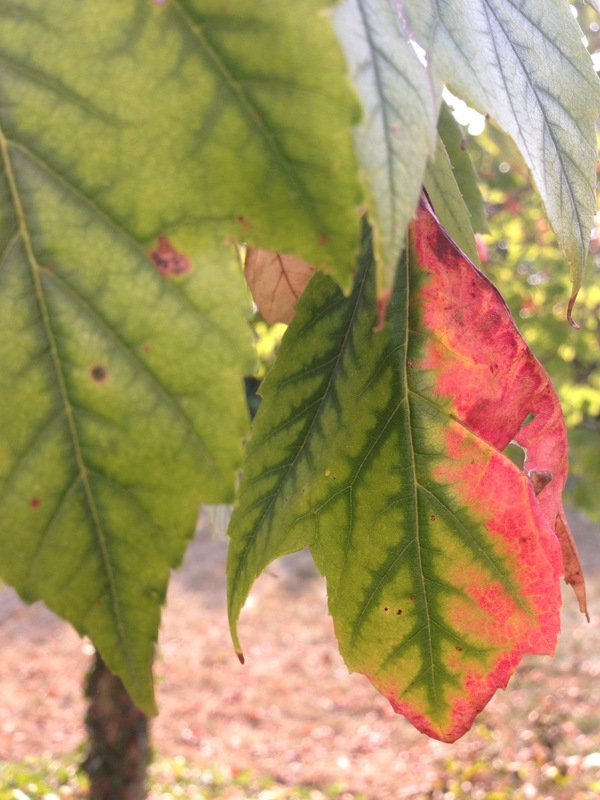 Even the leaves on my maple trees are edged with the color of sirens and tomatoes, apples and strawberries and Elmo. So, dear reader, I thought we could share what sorts of red books we have in our collections today. Here’s a stack of red books from my shelves. I was surprised how many favorites are in my red stack….The Bean Trees, my Harper Anthology of Poems from college (and in which I first read about the red wheelbarrow), The Return of the Prodigal, the old hymnal, The Story of Ferdinand…all of these are good and meaningful to me for so many reasons and life stages at which they came to rest on my shelves. 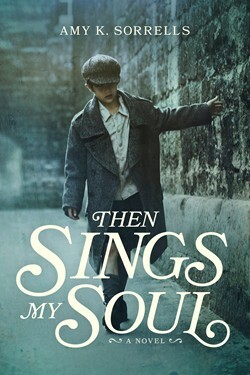 My books are like old songs that stir my heart and memories. They are in many ways a patchwork of my life. I’m really liking this book-by-color thing. It’s making me realize how much books have and continue to shape me. 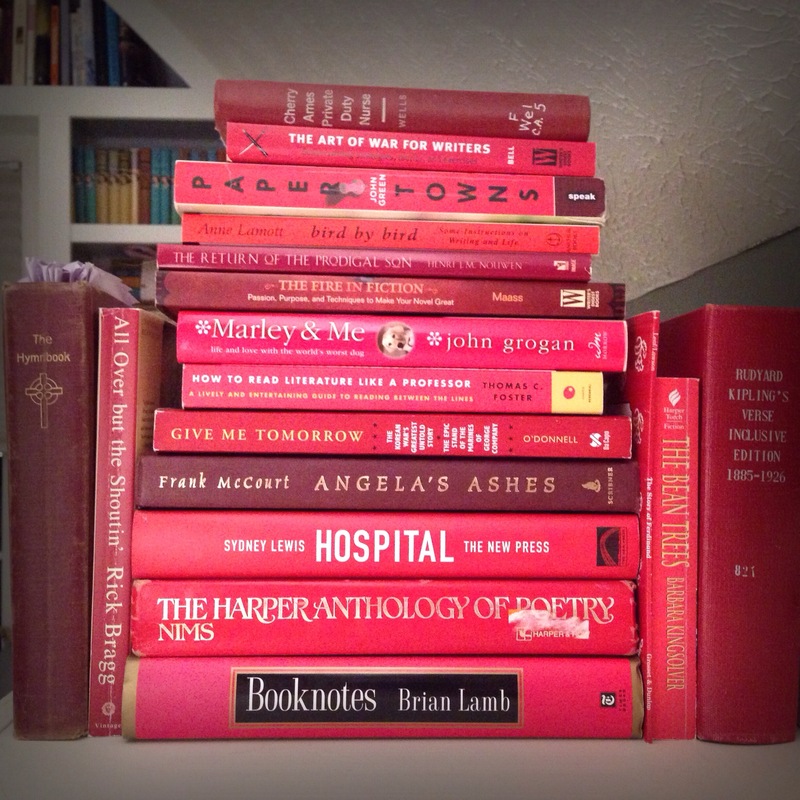 What does your stack of red books say about you? Do you have any of the same red books? Dear Reader is a series I post every week. If you’re a reader and have an idea or question you’d like me to write about, relating to books or writing or editing, etc., jot me a note and I’d be much obliged to take a stab at your request. Also, if you’d like to read all the Dear Reader posts, click here. If you like insider information into my books or writing life, be sure to sign up for my author newsletter by clicking here. 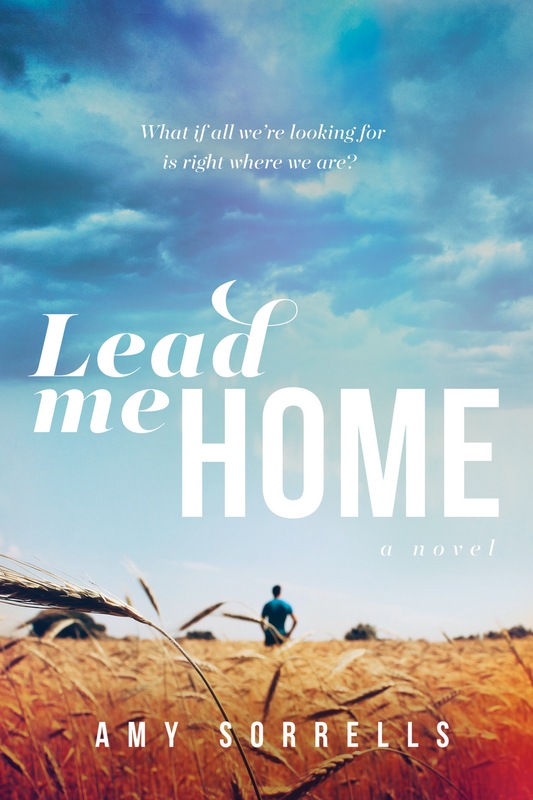 ← Dear Reader, Wanna sneak peek into my next book?